Defenceman Carter Berger will be back in the Grizzlies lineup Saturday night against the Clippers. And the rest of the B.C. Hockey League might do well to worry about the return of the Victoria Grizzlies’ Fab Five, who missed most of club play in December, while away earning the bronze medal with Team Canada West at the World Junior A Challenge in Bonnyville, Alta. “It gives you international experience that you now bring back with you [to club play],” said Grizzlies forward Alex Campbell, tabbed by Central Scouting for 2019 NHL draft. Campbell and the rest of the Fab Five begin doing just that tonight when the Grizzlies (22-11-2) take on the Nanaimo Clippers (16-18) in a BCHL Island Division matchup at The Q Centre. “It helps you grow as a player because the [international] game was a lot faster,” added Campbell. Grizzlies forward Alex Newhook, projected for the first round of the 2019 NHL draft, was Team Canada West assistant captain. The other Grizzlies on Canada West were 2018 New York Rangers draft pick Riley Hughes and blue-liners Carter Berger and Jeremie Bucheler. “It was a long break and now we’re ready to go again with the Grizzies,” said Berger, headed next season to play in the NCAA for UConn. The Grizzlies’ roster depth is not lost on anybody in the BCHL, including in the Victoria camp itself. “We have lots of guys who are going on to the NCAA and they have a great opportunity to finish off their Junior A careers as champions,” said Grizzlies GM and head coach Craig Didmon. The Grizzlies certainly have a special captain in Newhook leading that quest. With the 2019 IIHF world junior tournament currently raging in Victoria and Vancouver, thoughts are already on the Canadian class Newhook is likely to join for the 2020 world juniors in the Czech Republic. “Hopefully, Alex can be a two-year player on the Canadian team for the world juniors,” said Didmon. Newhook, meanwhile, will join Campbell and Bucheler in the Canadian Junior Hockey League top prospects game Jan. 22 in Okotoks, Alta. 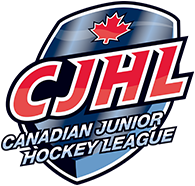 The Grizzlies trio is among the 11 BCHL players invited in partnership with the CJHL, NHL, Hockey Canada and NHL Central Scouting. 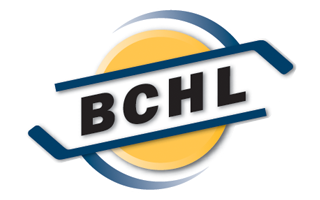 A total of 40 CJHL prospects for the 2019 NHL draft in Vancouver were chosen for the showcase game. Meanwhile, with veterans Kurtis Chapman and NCAA Bowling Green-bound Zack Rose now both healthy, along with Kyle Dumba, there are decisions to be made in goal for the Grizzlies. “All three deserve to play and are deserving of respect,” said Didmon. “The question now is who is going to be in the stands [tonight] and who will be in the crease,” said Didmon, without tipping his hand. One of the trio is likely to be traded by the Jan. 10 deadline. “If we do, we will do our best to place that [traded] goaltender in the best position possible to advance his hockey career,” said Didmon. LOOSE PUCKS: The Grizzlies’ game against the Powell River Kings originally scheduled for Sunday has been rescheduled for Feb. 3 at noon.